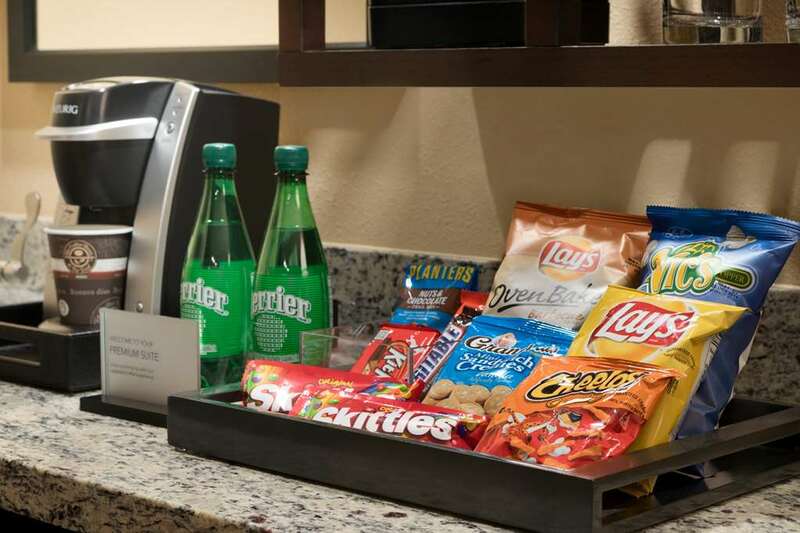 Embassy Suites Des Moines - On the River is the premiere all-suite hotel in the downtown Des Moines area and the closest hotel to the Iowa State Capitol the trendy East Village and the Court Avenue Entertainment District. The Principal Riverwalk is right outside our hotel door featuring walking paths and an ice-skating rink. Just a few steps away the Simon Estes Riverfront Amphitheater is home to many concerts and fun festivals throughout the year. Many eclectic shops restaurants attractions and corporations are also within walking distance. The Embassy Suites Des Moines hotel features 234 two-room suites in an eight story tropical atrium and 16 000 square feet of flexible social and corporate meeting space wireless high-speed Internet access throughout and a beautiful relaxing decor. Doozie*s Bar and Grill offers fine American cuisine within a fun sporty environment. A complimentary cooked-to-order daily breakfast and evening manager*s reception add to the extensive list of amenities for which Embassy Suites hotels are known. All suites provide the security of electronic door locks and open to the lush atrium below. Liberty*s - An Iowa Grill: Liberty*s - An Iowa Grill derives its name from the State of Iowa motto *Our liberties we prize and our rights we will maintain*. The bistro-styled restaurant serves casual American fare in a true reflection of the attributes and sustainable food sources in the Heartland.